I’ve been running so much, I haven’t had time to recap races—get ready—there’s lots coming your way! 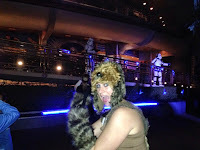 Just a few days after coming home from Disney World, I was packing up again to head to Disneyland for the Inaugural 2015 Star Wars weekend! 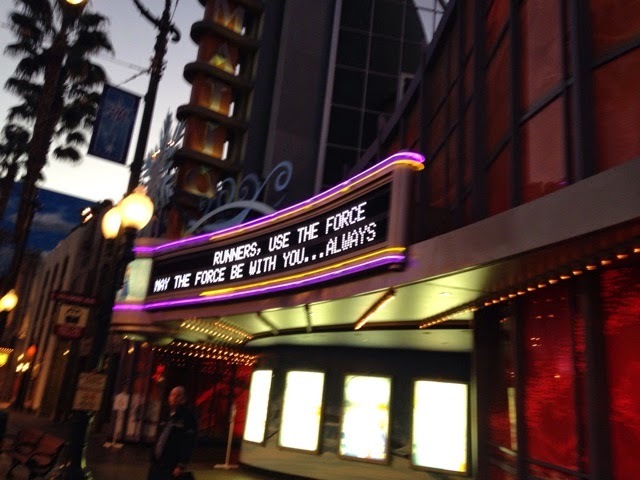 This was a much-anticipated race, and I’m not even a huge Star Wars fan! I knew it would be a blast and Disney would do it big, and boy, they did not disappoint. The 10k started at 5:30, so we were in for an early wake-up call. My hubby and I were running the 10k together, focusing on all the fun and not so much on time. 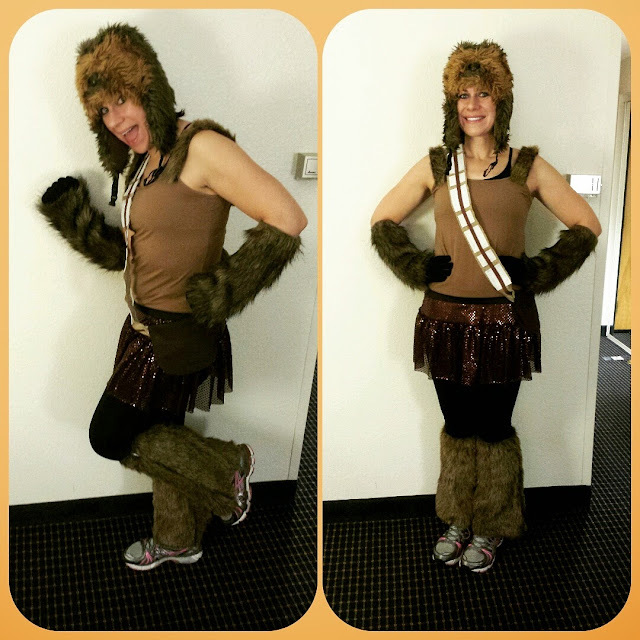 I’ve always been a procrastinator, but this took the cake-I was actually sewing my costume at 3:00 in the morning, the day of the race. 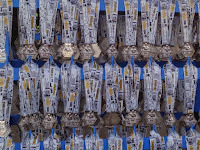 It didn’t help that I was nursing a cold I got sometime in Disney the prior weekend, and all I wanted to do was sleep. It turned out pretty good, if I do say so myself, and I got a ton of compliments on the course. 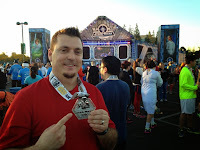 We stayed at a hotel on Katella Ave, so we used the Good Neighbor Hotel Transportation which is free for the weekend for runners (be sure to stop by the transportation booth at the expo for vouchers). It was definitely too far to walk, so this was a great option! No one is awake enough to drive at that hour! We walked from the buses to the start to meet up with some friends; we honestly were running a bit late. The start line was right outside Paradise Pier hotel, which left only one bank of port-o-potties for me to hit prior to the race start. I’m a bit of a ritualistic personality when it comes to races…two stops for me. I figured I’d be okay since it was a 10k. 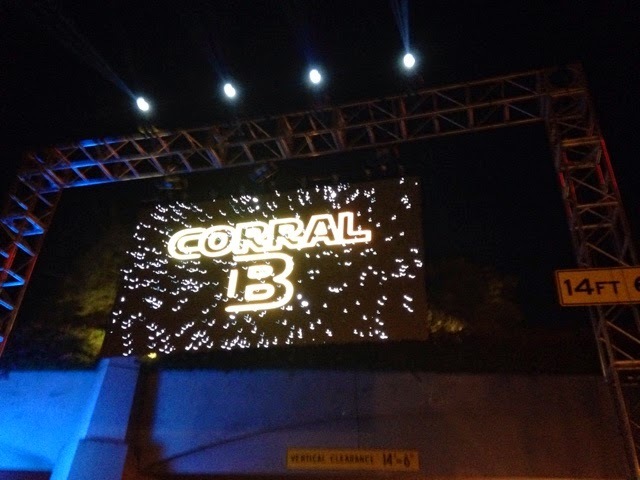 We started in corral B. Instantly we were impressed by the costumes and theme of the start line. 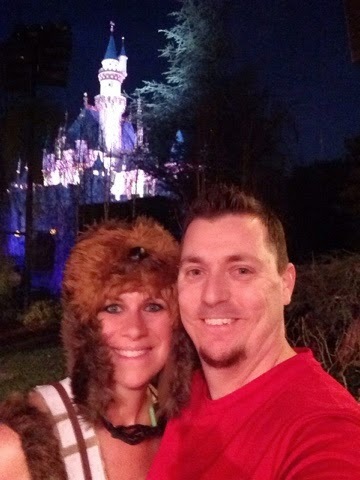 I cannot say enough how much I love 10ks at Disneyland! They have so much more park time, and it seriously flies by! We were off quickly heading away from Downtown Disney. Once you exit Disneyland, you head into DCA through the front entrance. 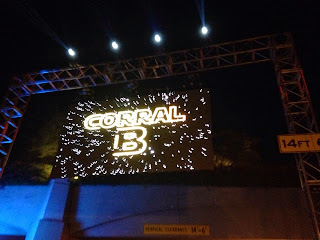 Even the marque had the theme going on! 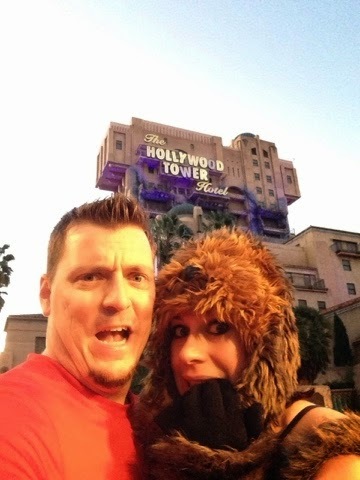 We always love our Tower of Terror pic—we are starting to collect these from quite a few races. Maybe we should come up with a new pose? We came up around the back of DCA and we were done. It was a great race! 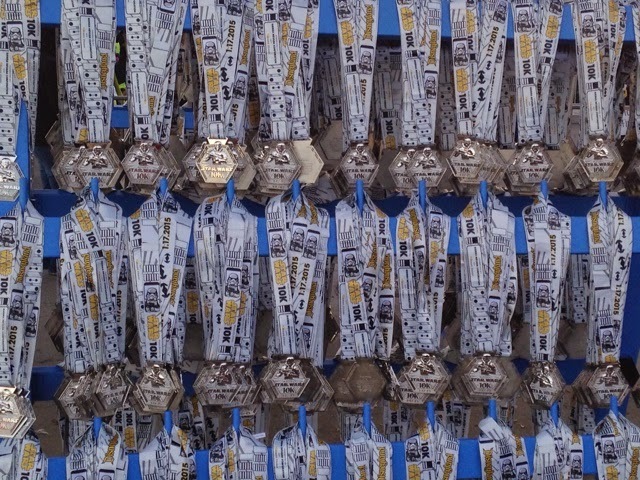 Great finish line, great bling, great runners, just all around a great race. 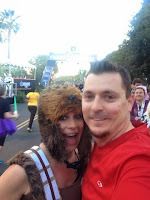 Even though I’m not a Star Wars aficionado, I would definitely run this course again! I’m definitely recycling this costume too—it was one of the best I’ve ever done. 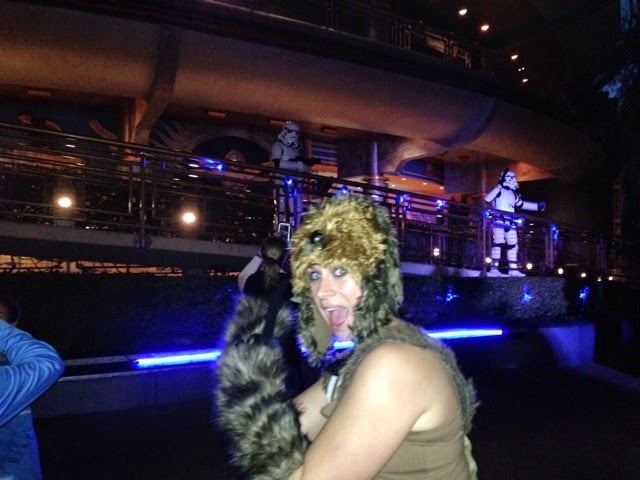 I considered a Wookie Princess, but chickened out. Look out for it soon, though. I can’t wait to wear it again! 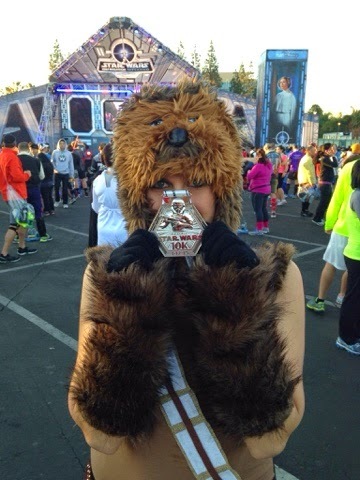 Up next, the Star Wars Half Marathon, and Part 2 of the Rebel Challenge!